Can You Really Live In a Car Long Term? For as long as I can remember I have been fascinated with living in small spaces. Long before the tiny house craze, small spaces always attracted me. When I was a young kid I lived in several small shotgun houses and after that a few mobile homes including one that was really just a large and very old travel trailer that was approximately thirty five or forty feet or so, as best as I can remember. Then I joined the military – the US Navy to be specific and lived aboard several different ships over more than a decade. Aboard a ship, you have a small bunk with curtains, a light, a fan, and two lockers. One is space under your bunk where you raise the bunk top up to get to, and another is a stand up locker nearby. The stand-up locker is much like a school or gym locker. That’s it. It’s all the personal space you get. For many years I sold real estate and managed properties too for a time. This afforded me the opportunity to inspect thousands of homes and various types of properties – and I always loved the smaller properties the best for some reason. When I went into trucking I started as an Over The Road truck driver. In a commercial truck you have a sleeper compartment, and the modern trucks today are quite luxurious in comparison to what I started with. I started with a cabover and it had a very small bunk but no other usable space other than the driver’s seat and a passenger seat. There was no standing headroom inside at all. Now, most trucks are conventionals and they have what is referred to as “Condo” living space. Behind the driver’s seat, you can stand up and walk around even. There are banks of lockers and plenty of storage and usually two bunks. One lower main bunk and a smaller upper bunk that folds up out of the way. These trucks are roomy and very comfortable with all kinds of amenities. My wife and I have lived aboard a boat for a year that was thirty nine feet long with a beam of thirteen feet and eight inches, and many years after that we lived in a travel trailer that was thirty five feet long for about a year. Both of those experiences are some of the happiest memories I have and I really enjoyed the time we spent doing it. People have always lived in small and interesting spaces since the beginning of time, and that continues even today. The tiny house craze has rekindled some interest in the subject, though most people will never actually live in anything that isn’t considered normal and mainstream the fantasy still calls. Others have decided to ditch the rat race, downsize and simplify their lives and try new things in an effort to have a better life now vs continuing to struggle under the mountains of debt that go hand in hand with normal living. Some do it for other reasons, and there are more and more people it seems, downsizing to smaller and simpler homes – including vehicles. Vans are more popular than ever before and for many good reasons. They are plentiful, easy to acquire, relatively easy to convert to living space and they can be parked practically anywhere you can park a normal sized vehicle – that means almost anywhere throughout the country and beyond. This is not unique to the US either and is a worldwide thing. But what about living in a car? Not a van, box truck, school bus etc. but a regular everyday car? Can you really do that and would you really want to? Keep in mind that there are many people doing this at this very moment. Some of them are doing it by choice – others because they feel like they have no choice or that it is the best choice they can figure out at the moment. They do so out of desperation – but NOT by intentional choice. 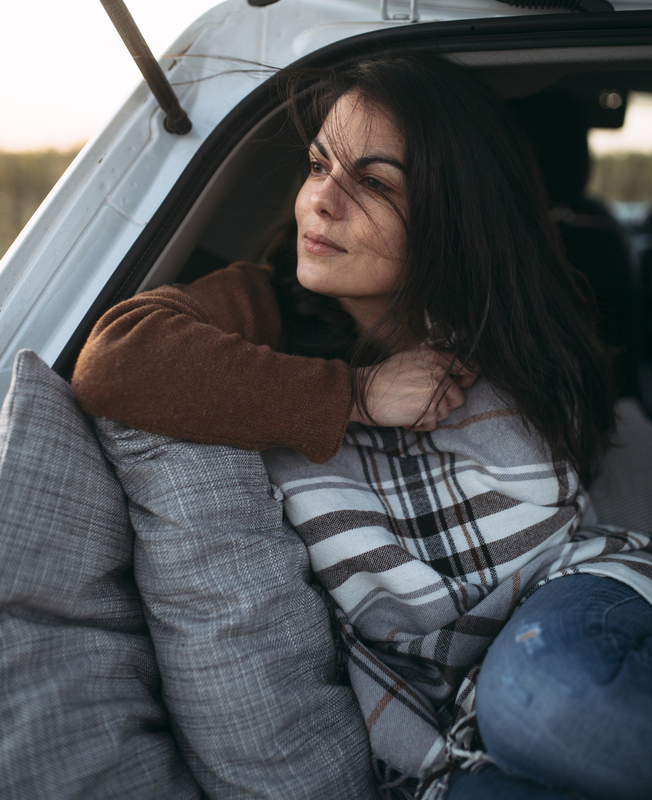 For the purposes of our discussion here – the focus is on whether someone would or should intentionally choose to live in their car or not over some other options available. On the plus side, one reason to at least consider it is that almost everyone already has a car of some sort. So it is an easily available option. No matter what you choose to live in or aboard there are certain minimum requirements that need to be met to make it a viable option for a long period of time vs just a temporary emergency shelter situation. Those listed below are what I feel are essential elements – you will need to make your own list of essential requirements and it may vary from mine. Get a pencil or pen and some paper – use my list as a guide and create your own. These and other factors are all things that will need to be considered and dealt with. Everyone has to go to the bathroom. Everyone has to eat, be able to clean themselves and get dressed, stay warm, sleep etc. – all just to survive and function every day. Can you accomplish these things in your car? If not then how will you deal with these issues? Some types of cars work better than others and afford more opportunities. For example, a small sedan with fixed seats has very little space and is extremely limiting in what you can do with the space it does provide. Some other cars such as a Prius and small utility vehicles have removable and or reclining seats which afford other options. Even then your overall usable space and the ability to configure it will remain very limited compared to other options available to you. If you can set up camp in boondocking locations where you can sleep in a hammock next to your car and have a tent or tarp set up, etc. then that can work much better. Obviously, you will not be able to do that in most urban settings and it certainly isn’t covert camping or stealth camping in any way shape or form. In fact, if stealth is what you are after – then a car is a very poor choice. If you are in an area where you can set up camp – then, in that case, you really aren’t living “In” the car – but rather just using as a base and a transport from campsite to campsite. It really has to come down to a personal choice on your part. What I find acceptable or unacceptable may be very different than what you would choose. As far as I am personally concerned, living in or out of a car would be a near last choice and would be more of a temporary emergency measure than any longterm intentional and by design choice at all. That is simply because there are far better choices easily available and there is no need to suffer through all the inherent restrictions and problems that come with living in a car. While it can be done – and is being done now by many people – it isn’t practical or desirable to live in or out of a car only. Not to me anyway. But that’s the beauty of life – we each get to decide for ourselves what is and isn’t practical, what is and isn’t acceptable. Could you live out of a car? Would you live out of a car by choice for a year or more?